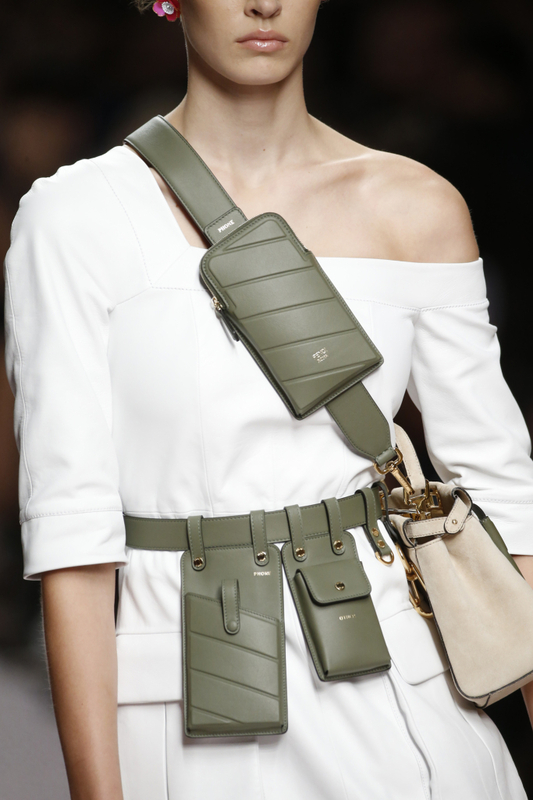 With boxy silhouettes, structured yet loose fits and accentuated hardware -- the utility trend is in full force. 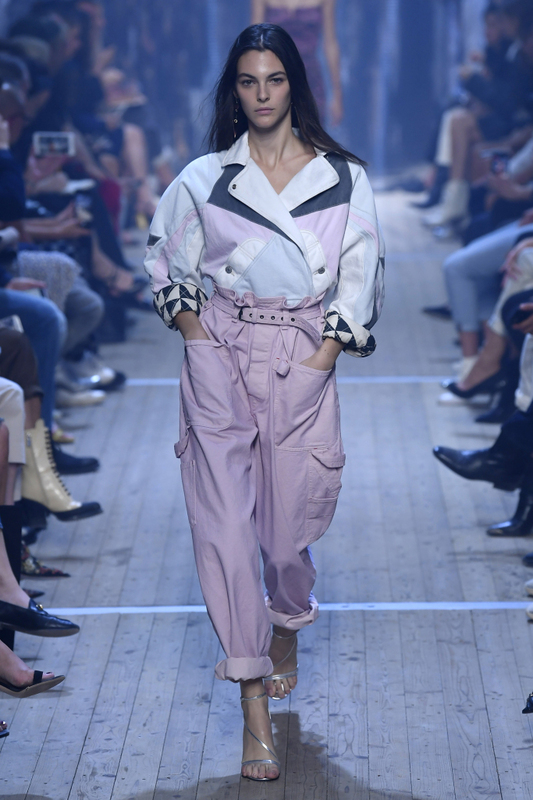 Often associated with boiler suits as well as cargo pants and prominent pockets, the utility trend has been described as “function meets fashion,” at least that’s what Net-a-Porter’s Global Buying Director Elizabeth van der Goltz told Elle. The utility trend can be styled in a variety of ways. Army green, a color often associated with the trend, has been very popular lately; it actually appears in Pantone’s Spring/Summer 2019 NYFW Color Palette in two different shades. So what’s the lowdown on the current utility craze? As with every trend report, let’s look to the runway to see the trend’s current origins before taking a peek at what’s available in stores. 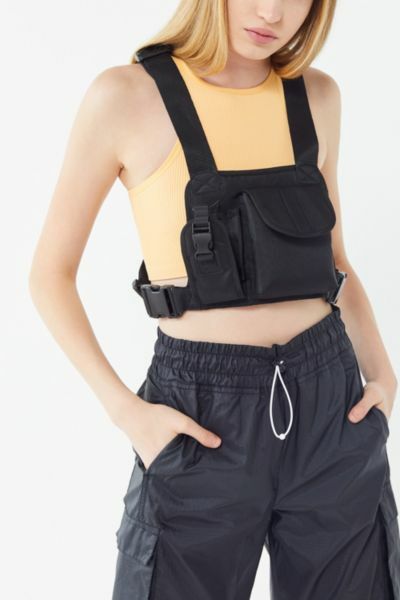 The utility trend first appeared on the recent fashion scene during Spring 2019 Ready-to-Wear shows. 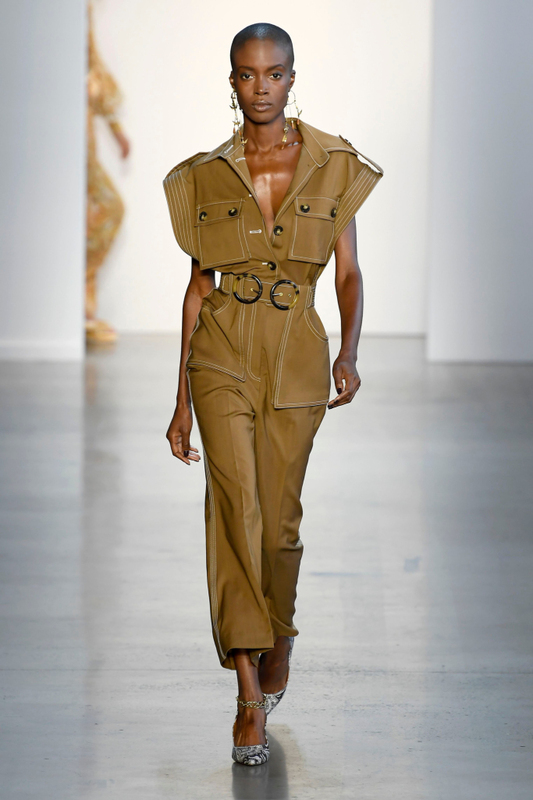 Brands like Zimmerman, Proenza Schouler and Givenchy all had some utility in their collections with either the basic army green cargo pants or eye-catching sets with large, matching pockets. While the trend is usually associated with colors such as neutrals and army green, brands like Isabel Murant showed how one can take this tough-looking piece and make it lighter by using brighter colors such as pink and other pastels. Besides the classic cargo pants, boiler suits and structured tops, overalls and accessories also fall under the trend. 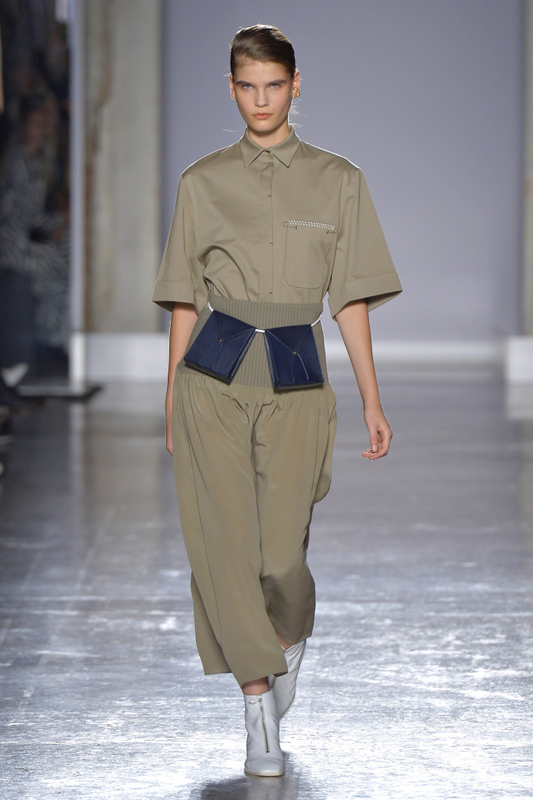 Slouchy overalls with oversized pockets were seen at the Alberta Ferretti Spring 2019 RTW show, and belt bags and fanny packs -- which are also a huge trend right now -- made an appearance on the Spring 2019 RTW runway at shows such as Fendi and Gabriele Colangelo. So, where can we purchase this trend to add a bit of utility to our wardrobes? 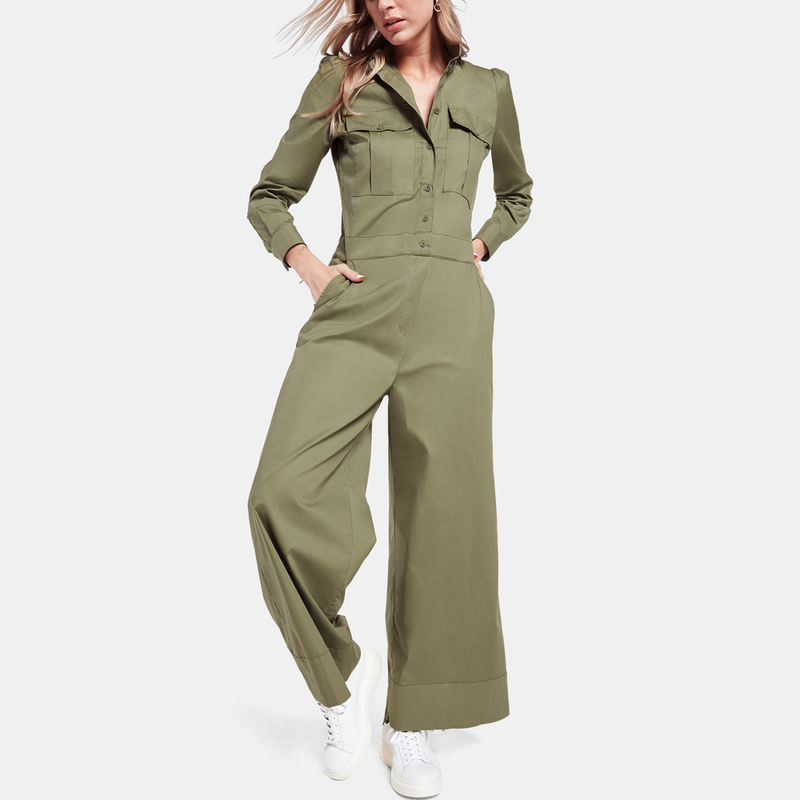 Hollister, Nasty Gal, and Goop are just a few of the shops that offer utility jumpsuits. For a more budget-friendly option, this beige jumpsuit is now $18 thanks to Nasty Gal’s current 40% off deal on all sale items. Other retailers such as Target, H&M, and ASOS also have a variety of cheaper utility jumpsuits to choose from. Overalls are sold at many different retailers, some of which include Forever 21, American Eagle, and Second Skin Overalls by blogger-turned-entrepreneur Danielle Bernstein. Utilitarian accessories can be found across many retail outlets, including Boohoo, River Island and Urban Outfitters. The utility trend is one that can easily be infused into your everyday outfits, no matter what kind of style you have. Utilizing the utility trend allows us to put together cute outfits quickly, be comfortable yet still stylish, and take on the day. From playing with colors to the variety of pieces offered, we can all add a little bit of utility into our wardrobes.